After successful journey of Pixel 2 and Pixel 2 XL the Google Pixel 3 is going to be ideal smartphone. Google Pixel 3 is most rumored smartphone after Pixel 2 & Pixel 2 XL. A new giant is going to be released soon named with Google Pixel 3 for its lovers. Google Pixel 3 leaks are trending this days and are everywhere on the internet so we start beginning to gather truth and we’re analyzing each one as it comes in and updating this article to keep you known. After the successful tour of Pixel 2 and Pixel 2 XL the Google Pixel 3 is going to be an ideal smartphone for pure Android fans and camera enthusiasts. There’s going to be more Pixel to love in 2018, as according to Google Pixel 3 rumors the search giant may be readying three different models. 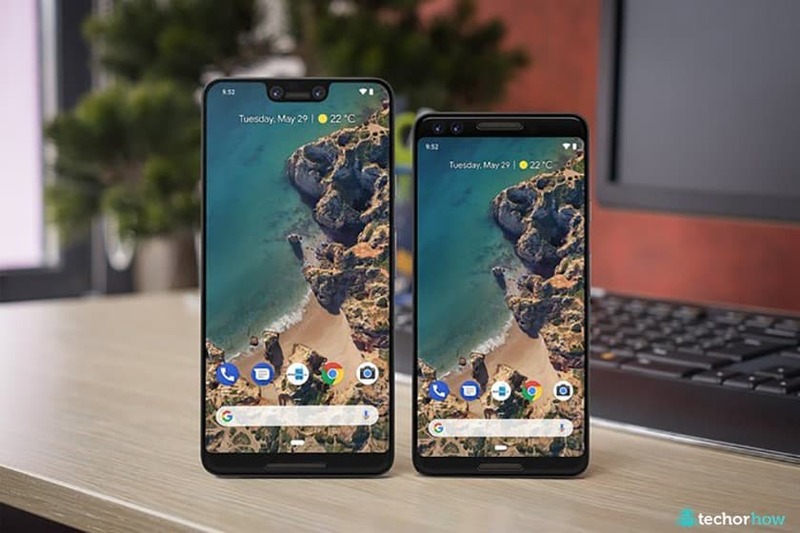 Pixel 3 leaks and rumours describe the normal-sized Google Pixel 3, a screen-refined Google Pixel 3 XL, and a cheaper Pixel phone with a slik design and light weighted body with smooth edges. Every Google Pixel 3 rumor over the internet points the finger dowards the Android Pie update from day one. It’s time to separate fact from fiction with a deep dive into its potential release date, price and design. After analysing the rumours and leaks we finally get the freshly leaked images, we may finally have a first look at the upcoming smartphone. These photos suggest that the alleged Pixel 3 will come with a 5.5-inch display, but without the notch that is expected in the Pixel 3 XL. It is seen to have dual front speakers, glass and metal back, rear fingerprint sensor, among other things. In the Pixel series, Google appears to still be adamant on the single rear camera with dual-tone LED flash. The smartphone appears to have a glossy finish and long volume rocker and power button. Meanwhile, Google’s ‘G’ moniker and a fingerprint scanner are present at the back. Meanwhile, the tipster also included several images of the alleged Pixel 3 tipping its specifications. The smartphone is said to come with a 5.5-inch (1080×2160 pixels) display with rounded corners and an 18:9 aspect ratio. Meanwhile, the battery has been upgraded to 2,915mAh compared to 2,700mAh in Pixel 2. Additionally, the smartphone is said to be powered by the Qualcomm Snapdragon 845 processor.